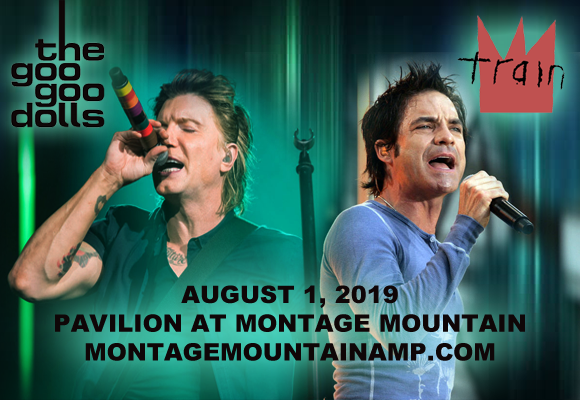 Two of the most consistent alt-rock radio staples of the 1990s/early 2000s, Train and the Goo Goo Dolls, have teamed up for a co-headlining tour that comes to Pavilion at Montage Mountain on Thursday 1st August 2019! The multi-platinum-selling groups will be performing a full set each of beloved hits like "Iris" and "Drops of Jupiter", and will be supported for the evening by soul and R&B singer Allen Stone! Formed in Buffalo, New York in 1986, American rock band the Goo Goo Dolls released their self-titled debut album in 1987 on the independent label Mercenary Records. Initially a punk rock band, the group spent several years honing their sound and enjoyed their mainstream breakthrough with their fifth studio album, A Boy Named Goo (1995). The album launched the singles "Name", which was the first of several hit singles for the band throughout the mid-1990s to mid-2000s, including "Iris", the band's best-selling 1998 single, which was featured on the soundtrack to the blockbuster film City of Angels. The track was a roaring success for the band, spending nearly twelve straight months on the Billboard charts and holding the number one position on the Hot 100 Airplay chart for eighteen weeks, as well as topping Billboard's "Top 100 Pop Songs 1992–2012" chart in October 2012. The Billboard chart also featured their singles "Slide", ranking at number nine, and "Name" at number twenty four.